Mombasa’s Old Town with its Arabic architecture has had a tumultuous history, which is well worth exploring. Its narrow winding streets with their distinctive architecture invoke the centuries gone by, when the town was a bustling and cosmopolitan hub for the important spice trade. These days, you’ll see traditional sailing dhows coming in and out of the harbour, laden with fresh fish to be sold at one of the town’s busy markets. Don’t miss the impressive Fort of Port Jesus, which dates back to the 16th century struggle between the Portuguese and Arabs. It’s a fascinating building to explore, and it’s certainly worth spending an afternoon wandering through its underground passages, turrets and battlements. From luxurious lodges dotted across the game parks to opulent beach resorts overlooking the Indian Ocean, Kenya offers some wonderful options for those seeking a little bit of relaxation, adventure and pampering on their 5 star holiday. 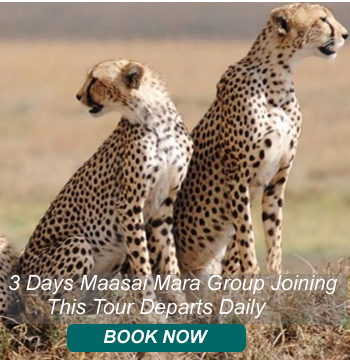 One of the best ways to see Kenya’s natural beauty, diversity and colour is on a multi-centre tour, where you take in the best that the country has to offer, whether your interest is in big cats or tiny birds. Depart from your hotel and drive along the Mombasa – Nairobi road to the Tsavo east national Park. Enter the park via Bachuma gate. Game drive after entry in search of the Big five. Visit the famous Aruba dam where lots of game can be seen. Later drive to Voi safari lodge for lunch. After lunch drive to Tsavo west national park with game viewing en-route to Ngulia Rhino sanctuary. Dinner and overnight at Sentrin Tsavo or equivalent. Early morning game drive before breakfast. 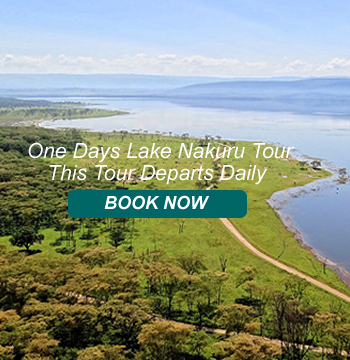 Thereafter leave for the mid-morning game drive which includes a visit to Mzima springs where Hippos, Crocodiles, different species of fish can be seen in crystalline clear water and lots of different species of birds. Proceed with your game drive visiting the Shetani lava flow where you will be able to see the Africa’s highest snow capped Mount Kilimanjaro from a distance. Return to your lodge for lunch. After lunch drive back to Mombasa/Diani arriving late in the afternoon. Dinner and overnight at Voyager Beach Resort or equivalent.